Sony's budget-line, ten-track collection Super Hits focuses on Peabo Bryson's early-'90s recordings for Columbia. At that point in his career, Bryson concentrated mainly on adult-contemporary material and quiet-storm ballads. He had a pair of big R&B hits -- the number one "Can You Stop the Rain" and the Top Ten "Closer Than Close" -- plus two giant crossover hits as a duet partner. Not coincidentally, those two crossover hits were love songs from animated Disney films. 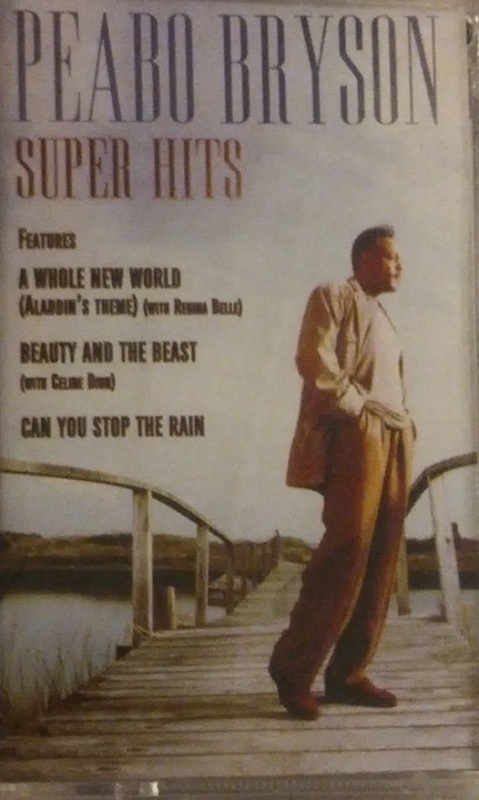 Although "A Whole New World" (a duet with Regina Belle from 1992's Aladdin) went to number one, "Beauty and the Beast" (a duet with Celine Dion from the 1991 film of the same name) was the larger hit, going platinum. Still, such positions don't really matter, since the basic fact remains the same: They were huge hits, regardless of their exact placing on the charts. Instead of heralding a revival in Bryson's career, they were essentially the last hits he had. "By the Time This Night Is Over," a Kenny G song he sang on, reached the Top 30 in 1993, but that was the last time Bryson charted. That song isn't included here, since it was released on Arista, but all the previously mentioned tracks are here, along with some solid album tracks in the same vein. This isn't earthshaking stuff, but it wasn't designed to be. It's romantic mood music, which Bryson performs very well; and since Super Hits clocks in with just ten songs, it never overstays its welcome the way a more thorough collection could. As a matter of fact, it's hard to see how a full-priced compilation could better this budget-line disc, since it has all the hits at a reasonable price.